Why choose our Fifa 19 Ultimate Team BOT? FutBotManager is the most advanced Autobuyer / Autobidder for Fifa 19 Ultimate Team of the moment. Developed with the latest technology available in the market makes this quick and reliable application. 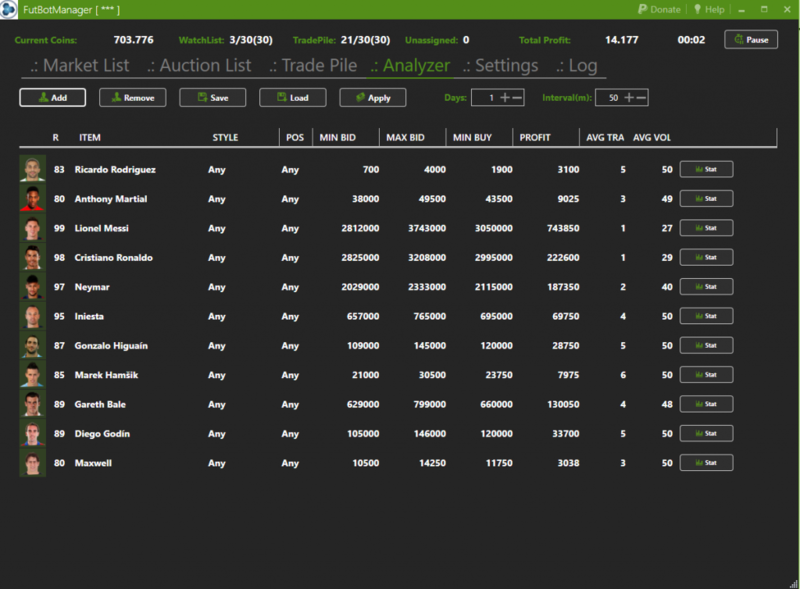 Also FutBotManager was developed for those who sell Fut 19 coins to others, thanks to a proprietary technology that allows to identify correctly the transaction of our buyer. For further information please contact us! Did you try to use BOT from mobile? All data stored with your EA Accounts information on your PC is Encrypted with Advanced Encryption Standard with a key that is unique for your PC, if someone try to stealth it like a malicious program alias virus, trojan horse or also bad friends can not take datas and use them for their illegal purporse. Our bot emulate human behavior, it is more safety than others bots. Security is not a Option for us. Every instance cooperate with others, than bot never place a bid if other instance take care about it. It is very powerfull and you never lose your fifa coins for this error that other bots do it. 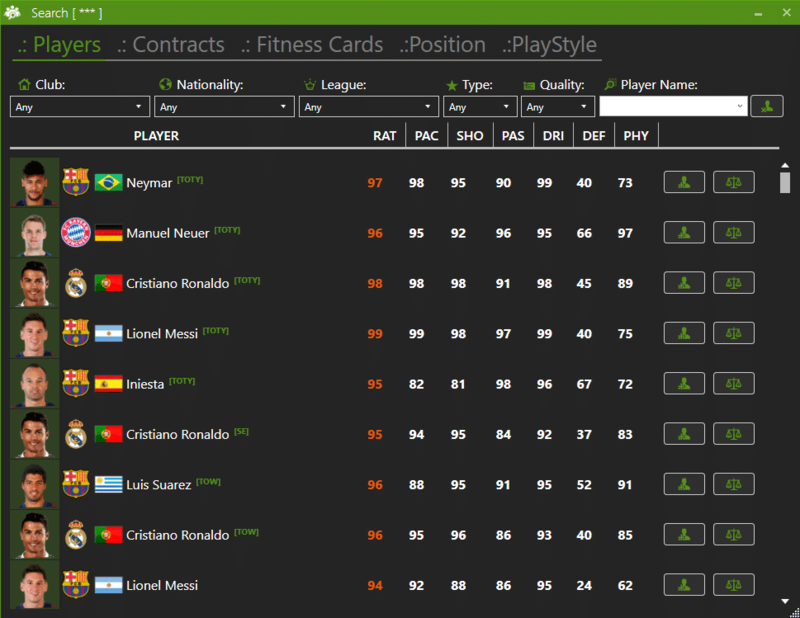 The FutBotManager does everything you would do when you want to buy a player. It logins automatically and does exactly what you tell it to do, it can also use schedule to be more efficient and smart. You select the players / items and your settings, you can also loading from file, and the Autobuyer does the rest for you. Various innovative functions ensure that even new users will make profit. 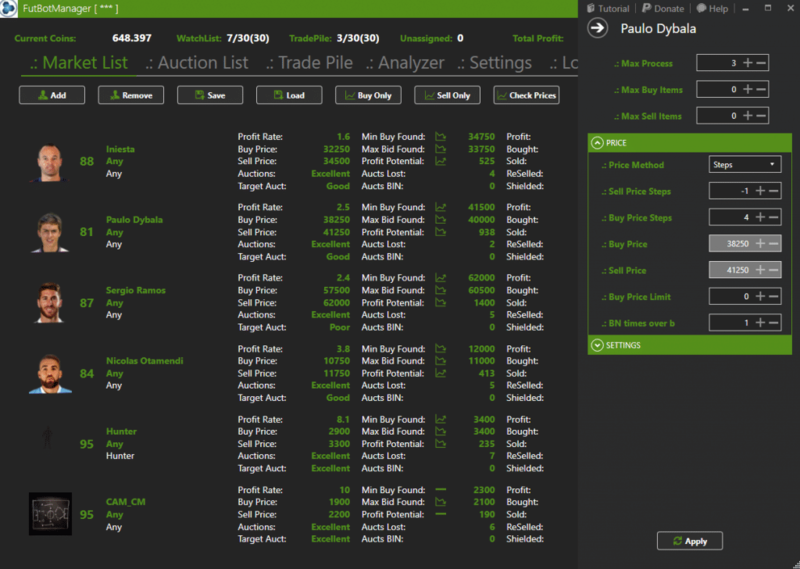 It is completely automated: It buys, lists and sells players while keeping an eye on the market. What does that mean? 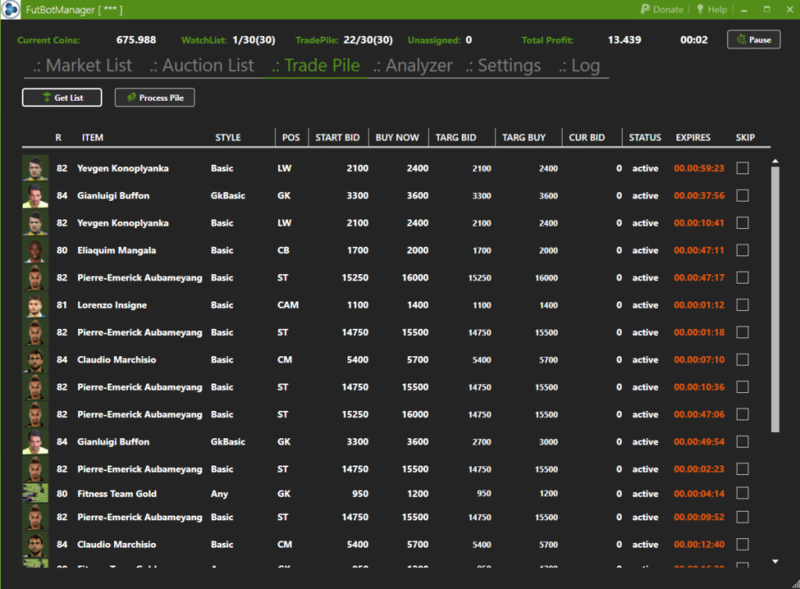 It updates the prices of the players, checks whether they are overpriced, gives you detailed informations about each player and transaction and much more! You can use multiple Ultimate Team account with same players list, cause bot share information about bids and don’t bidding others friendly accounts. Multiple platform support for Fifa 19 Ultimate Team: Ps3/4 Xbox 360/One e PC. Fifa 19 Companion emulation to avoid EA games stucks. Touch Screen support, then you can use your mobile to remote control your Bot like TeamViewer. Thanks to our platform you can easy run / manage also 100 Accounts at same time with less 300 mb of Ram usage, this is very powerfull on VPS environment. 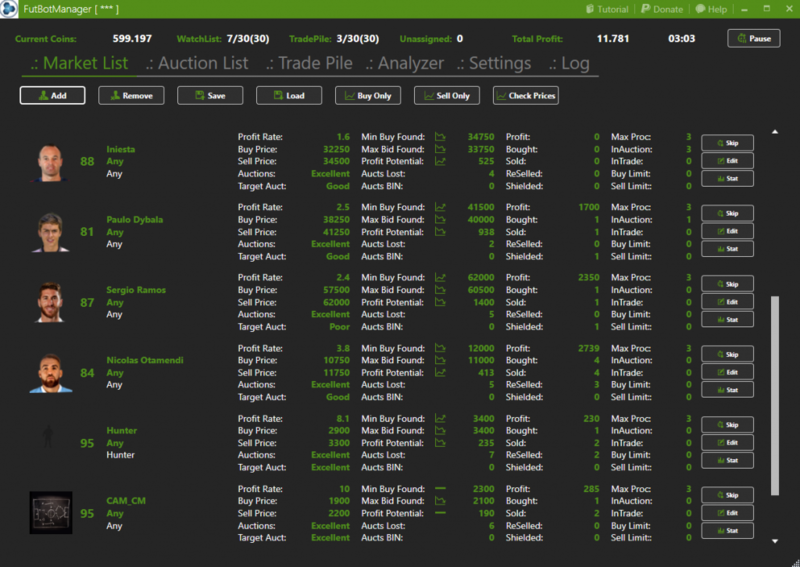 We update the market bot regularly also with best features that we think are userfull! If you have a good idea please send to us and join our community on forum to get last news about bot / world of Ultimate Team. You never need to buy Fifa 19 Ultimate Team coins without Spending Thousands on Packs or Risking Your Account by Buying Coins, you can gain also 200k coins in one day with one Ea account only, image what you can do with much more.